The average The Singing Christmas Tree tickets price will cost you between $1418 and $2179, if you are looking for the cheapest seats then catch the event being held at the Northern Alberta Jubilee Auditorium, Edmonton on 16/12/2018. The average ticket will cost you the highest on 16/12/2018 at the Northern Alberta Jubilee Auditorium, Edmonton. Minimum get in price is for The Singing Christmas Tree tickets is $36 for the event being held at the Northern Alberta Jubilee Auditorium, Edmonton on 16/12/2018 , there are some venues that have a much higher get in price, for instance the cheapest seats at the Northern Alberta Jubilee Auditorium, Edmonton on 16/12/2018 will set you back $47. Kick off the Christmas season with a merry start by getting hold of Singing Christmas Tree tickets. The performance of the "Singing Christmas Tree" will be held at the Ovens Auditorium in Charlotte, New Carolina. The show promises to catch the Christmas spirit and get the audience in a festive mood for the big holiday. The show "Singing Christmas Tree" is basically a production where different singers come together around a huge artificial Christmas tree and put up a wonderful show. The size of the Christmas tree determines the congregation size of the singers, as they singers usually circle around or sit in the tree to perform. History has shown that marvelous "Singing Christmas Tree" shows have been put up with as few as thirty singers. However, if the Christmas tree size is very large then as many as four hundred and fifty singers can sit in it and produce melodic symphonies that literally take one's breath away. The biggest Singing Christmas Tree is in Muskegon, Michigan, which is sixty seven feet tall and can accommodate over three hundred singers in it. The sheer magnificence of the tree is enough to awe the attendees. The interesting part is that the Christmas tree for the "Singing Christmas Tree" is not a real plant. In fact, the tree is constructed of steel and varies in width and size and is often built in a conical shape to accommodate the various singers who conduct the show.The concept of a Christmas tree came to the United States in the 1740s and since then it has become a ritual. Singing around a Christmas tree was a famous tradition in many families and eventually started in several town squares as well. The show called the "Singing Christmas Tree" brought the age old tradition to a completely different level and made it possible for it to be extended to a large scale. It is the charm of the holiday tradition and the Christmas spirit that adds to the show's popularity and gets people to attend the show in throngs. The "Singing Christmas Tree" show is quite famous in the United States and is held in many major cities of the country. In fact, the popularity of the show has reached other lands as well. It has been held in many cities such as Pampanga, Philippines; Suwon, South Korea; Winnipeg, Manitoba; Yarmouth, Nova Scotia; and Zurich, Switzerland. The upcoming show at the Ovens Auditorium in Charlotte, New Carolina is awaited eagerly by the residents of Charlotte. This recently put together production will feature singers from the Carolina Voices' MainStage Choir who will all settle into the magnificent thirty two feet Christmas Tree specially put up for this show. This event will mark the anniversary of"The 59th Annual Singing Christmas Tree", a feat lauding the popularity of the show. The "Singing Christmas Tree" show at the Oven Theater is directed by the famous Peter Leo, who is known in the music industry for his keen eye for detail and the imaginative ways with which he presents his productions. Under his guidance, the "Singing Christmas Tree" in Charlotte is bound to be a glorious event which will certainly delight the audience. Besides, the = Carolina Voices' MainStage Choir, several other artists will be making an appearance at the show. Among them are Eddie Mabry Dancers, Grey Seal Puppets, John Fulton, Caroline Calouche and St. Nick. In fact the Grey Seal Puppets provide the perfect entertainment for families with young children and the group's presence ensures that people of all ages enjoy the "Singing Christmas Tree" show. All Charlotte residents must get their hands on Singing Christmas Tree tickets and enjoy the epic Christmas themed show. 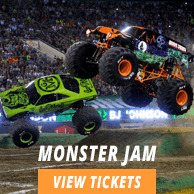 I am looking at portland or singing christmasn tree tickets, there are no seat numbers given. How will I know where my seats are located? Hey, are you guys giving away any discounts on portland singing christmas tree tickets? Seat numbers are never provided by brokers and you will need to wait until your tickets are shipped and arrived or you pick them up at will call. However, to get a better idea about seats, please check out our venue map given on the event page for Singing Christmas Tree. Yes, we are! Please get in touch with our Livehelp Operator to obtain our exclusive discount codes for your Singing Christmas Tree Tickets.